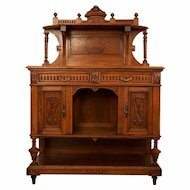 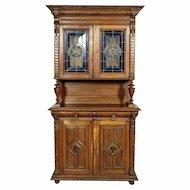 This amazing oak wood assistant’s cabinet is a wonderful pearl of Breton style furniture. 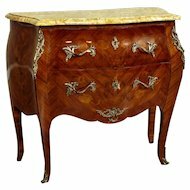 This magnificent commode that we present to you here below was made ca. 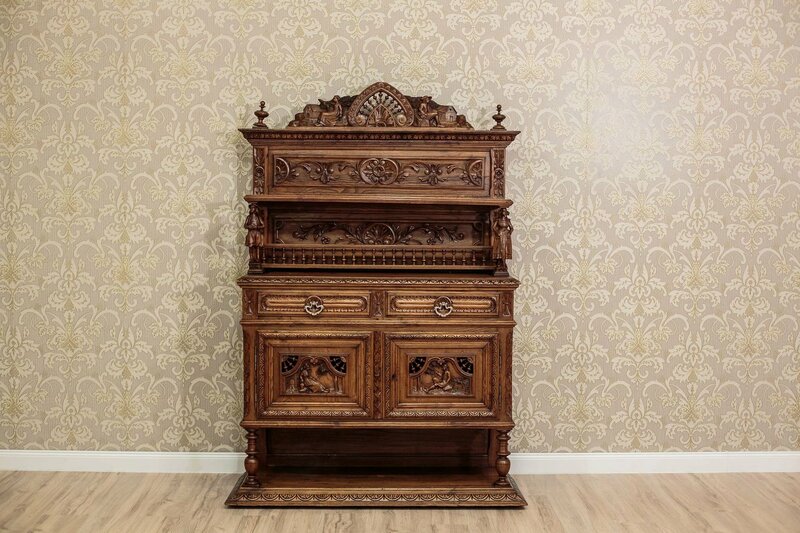 1880 in France. 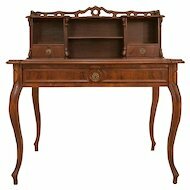 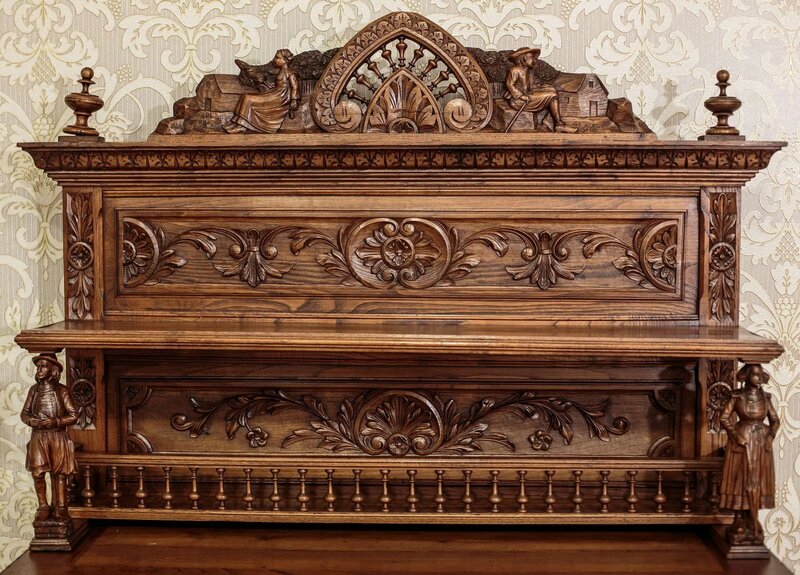 The entire piece consists of a graded superstructure resting on top of a majestic dresser. 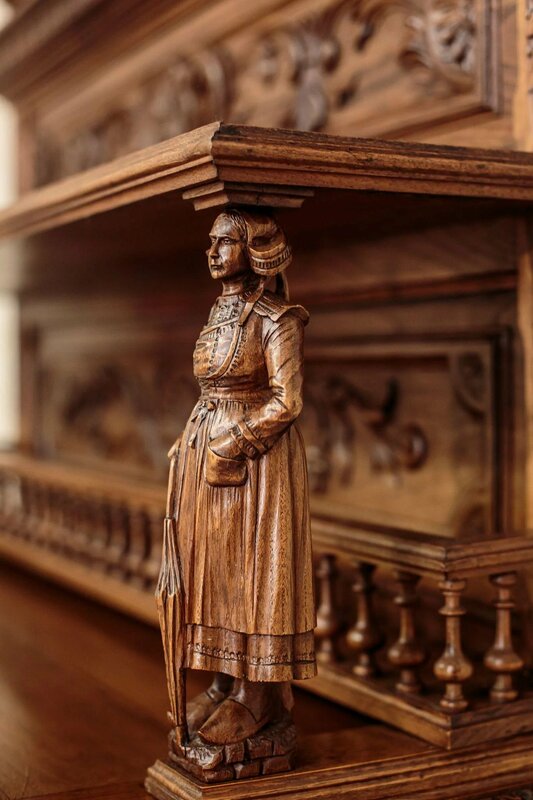 The base of the upper shelf rests on columns in the shape of two sculpted figures: a man and a woman. 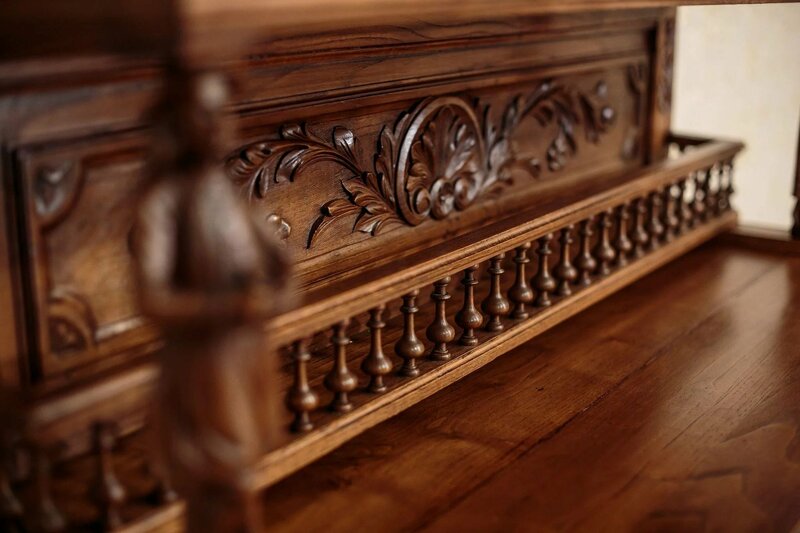 Below a shelf with a balustered railing for placing cutlery and dishes has been placed in the middle of sideboard. 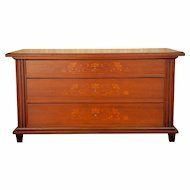 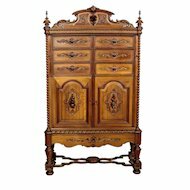 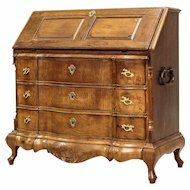 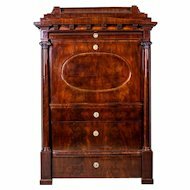 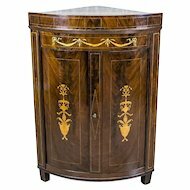 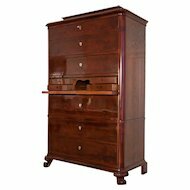 The lower section of the assistant’s cabinet consists of a double panel commode with two beautifully carved drawers, each of which is fitted with two golden brass handles. 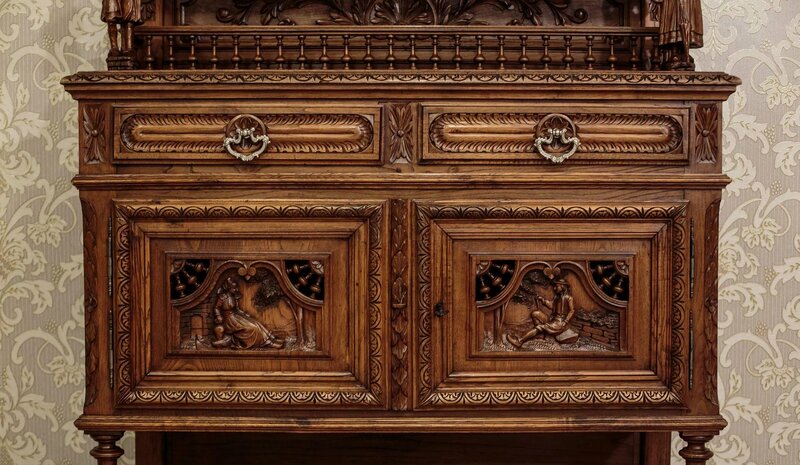 The two small front doors show examples of masterful craftsmanship with the sculpture of man and woman on the countryside scenes. 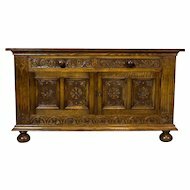 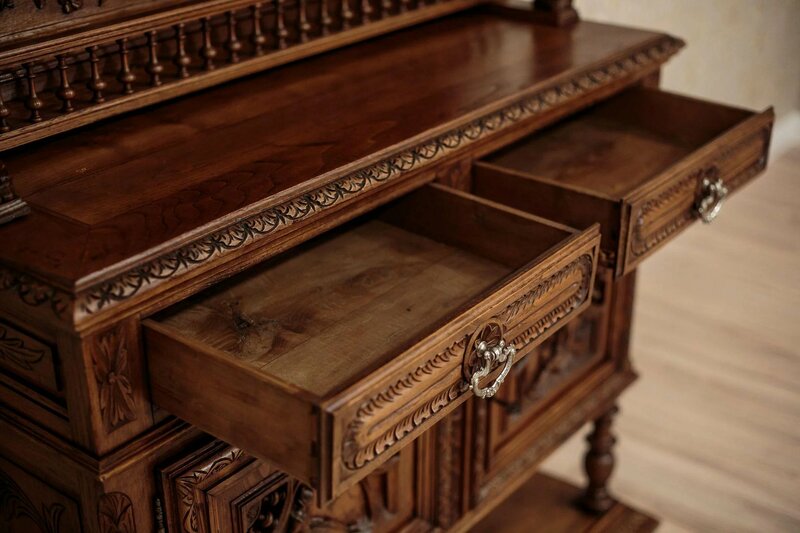 In the lower section the dresser has been mounted on an oak panel, which together with the balustered front legs forms an additional shelf. 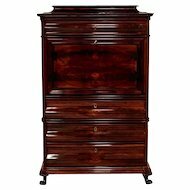 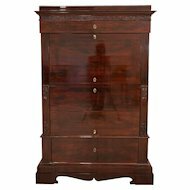 The assistant’s cabinet boasts an extremely sophisticated appearance and will be sure to add considerable class and elegance to any living room or dining room interior. 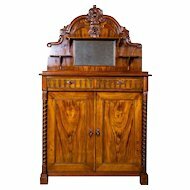 Despite its age, the cabinet has been preserved in an exceptional state with only a few traces of wear accumulated through decades of use. 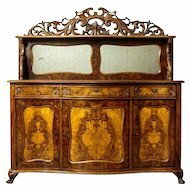 We hope that its value will be appreciated by many customers. 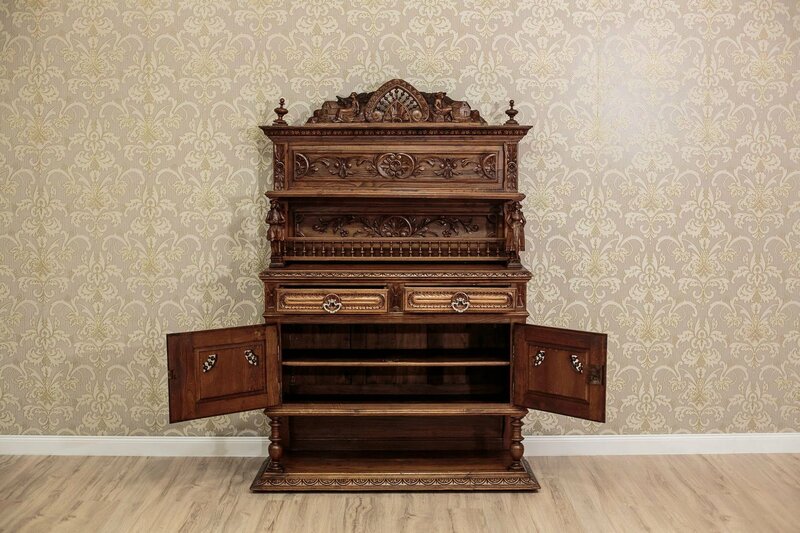 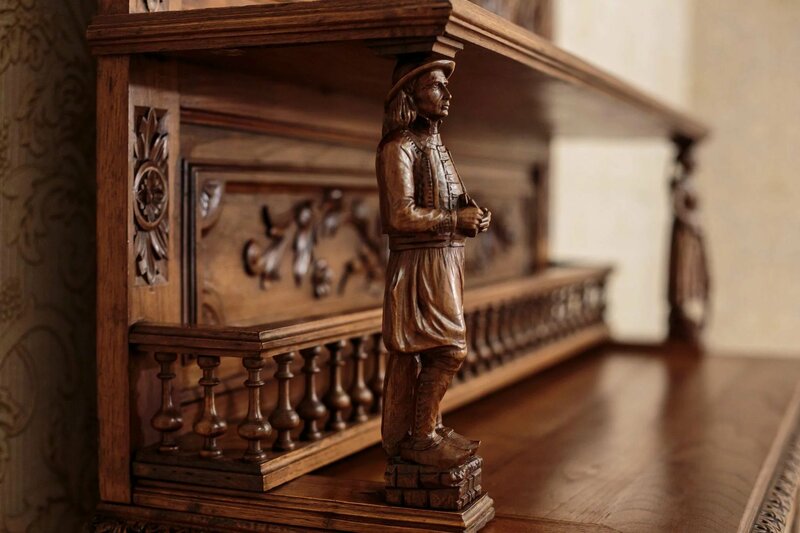 The AUTHENTICITY of the assistant’s cabinet (period of manufacture, type of wood used) has been certified by an experienced specialist of vintage and antique furniture. 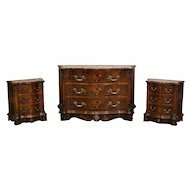 The company “Antique Beauty” displays an ISSUER’S CERTIFICATE on each item in its inventory which authenticates its legal origin and approximate date and place of manufacture.